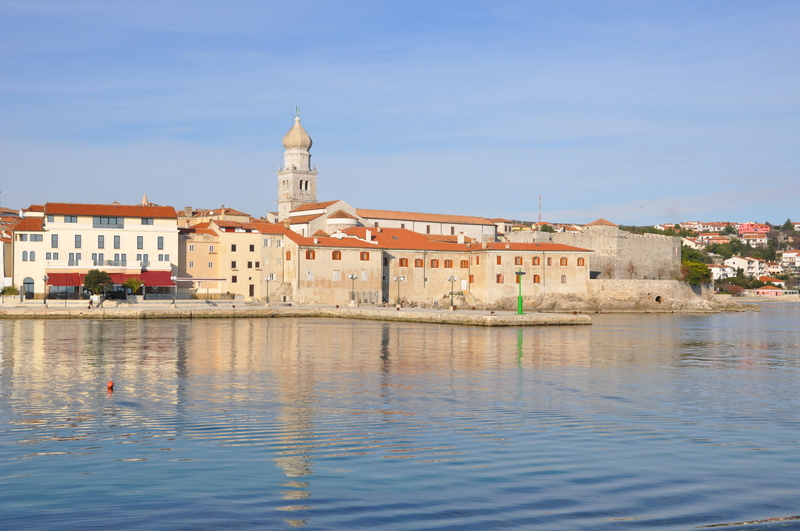 The aim of the project is to reduce greenhouse gas emissions on the island of Krk. By installing solar power more widely, Krk is to become the first energy-autonomous island in the Mediterranean region. The project is part of an extensive sustainability strategy on the island of Krk. The island’s administration has set itself the goal of making its region energy autonomous and securing the power supply with renewable energy sources. As part of the project, a permanent information office will be set up to advise citizens on solar systems. The project is also training islanders up to become solar installers. These measures support the plans of the island’s administration to install one hundred new photovoltaic systems on the roofs of private houses. Furthermore, island inhabitants are to be taught how to sustainably invest income from tourism, olive oil production and viticulture. The project will enable homeowners to use photovoltaic systems to generate warm water and electricity from solar energy in a way that is cost-effective and climate-friendly. The next step of the plan is to establish an energy cooperative. In addition, the project partners are supporting interested parties in removing asbestos from roofs while the systems are being installed. Experts from the European Asbestos Risks Association in Trieste, Italy, are providing the necessary expertise. The island of Krk is a pioneer in the installation of solar systems. In the long term, the islanders hope that the systems will allow them to become energy autonomous and carbon neutral. To achieve this, Krk is following a comprehensive zero-emissions strategy and is the only Mediterranean island with a photovoltaic land register. By disseminating knowledge and providing training, the project is helping the island communities achieve their ambitious goals. The results of the project will be felt beyond the island itself. Krk could become a role model for other islands and the Croatian mainland, demonstrating that carbon neutrality and tourism need not be mutually exclusive. This project is part of the European Climate Initiative (EUKI) of the German Federal Ministry for the Environment, Nature Conservation and Nuclear Safety (BMU). It is the overarching goal of the EUKI to foster climate cooperation within the European Union (EU) in order to mitigate greenhouse gas emissions.